Step One – Generally, I am happy to meet and discuss a potential project free of charge however, if there are significant travel or other costs I may ask for them to be reimbursed. In most cases, I will need a design brief, a description of what it is you want me to do – a ‘wish list’ may be a good place to start. The brief may well result from this first meeting. Step two – In due course, I would need to see the site. First impressions are important, these I will record using notes, photos and sketches. Any background information you can provide me with is also useful – e.g. plans (current and old), old photos, old records, and any planning restrictions and other constraints. If I need a survey or base plan, I can arrange it. If the site is relatively straightforward, we can gather the information we need ourselves. However, if it is large or complex, then I would commission a topographical survey. Step three – Before developing detailed plans, I would typically draw up a sketch scheme – draft scale plans, sketches, elevations, image boards and samples – not always all of these things, but whatever it takes to convey the spirit and substance of the proposed works. Once the scope of the works is known, I can obtain budget costs and assess what skills and other trades are needed. Step four – Depending on the nature of the proposed work, the next step is to prepare working drawings and specifications for tendering. I prefer to produce only as much documentation as is needed, when it is needed. Alternatively, if a full tender package is required at the outset, I can provide it. Step five – putting the team together. This will depend on the size, nature and timing of the works. 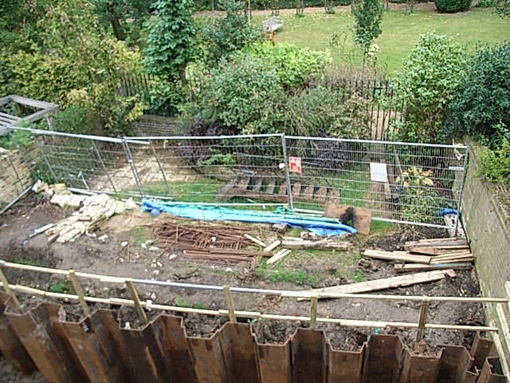 Typically, the works are implemented by either a landscape contractor or my clients’ own gardeners. 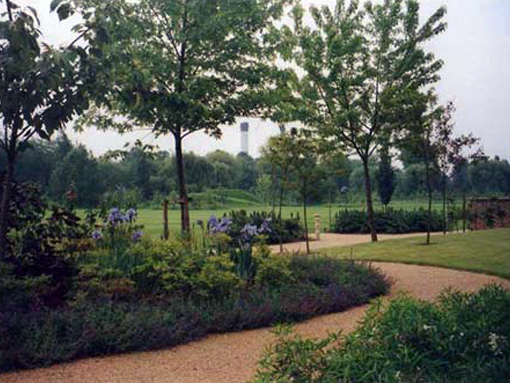 If the project is relatively small, we can offer a ‘design and build’ package. Step six – supervision and overseeing. When the work begins, I will visit the site as often as is necessary to ensure that the works are progressing satisfactorily and the plans are being interpreted correctly. 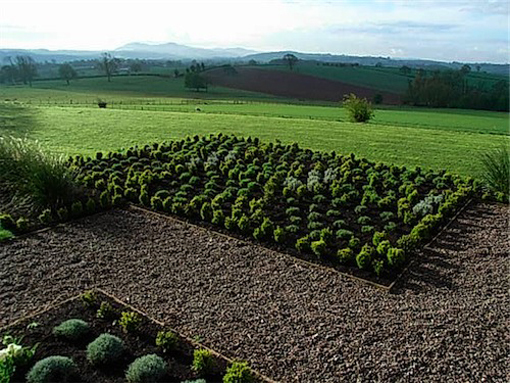 Planting – No matter how sophisticated the drainage system is or how cleverly conceived the levels, if they work, people seldom notice – the planting however, is more visible. 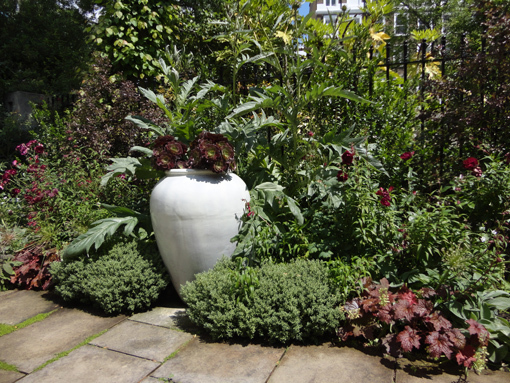 I like to have direct control of not just the planting design, but where the plants come from and how they are planted. If, as may be the case, you have a good gardener, then I am more than happy to work with him/her/them. If not, then I will find a good local contractor. 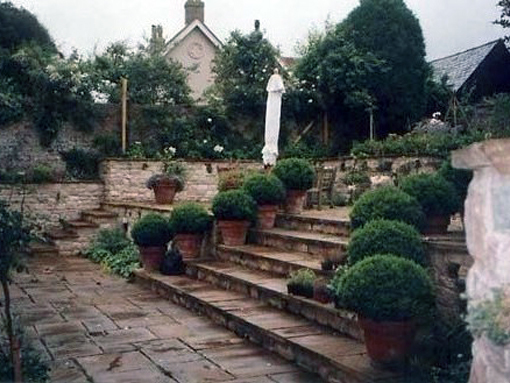 Aftercare – nothing gives me more pleasure than to see a garden I have designed flourish and mature. Even if it’s only once or twice a year, I like to have some on-going role in the maintenance and development of a new garden.